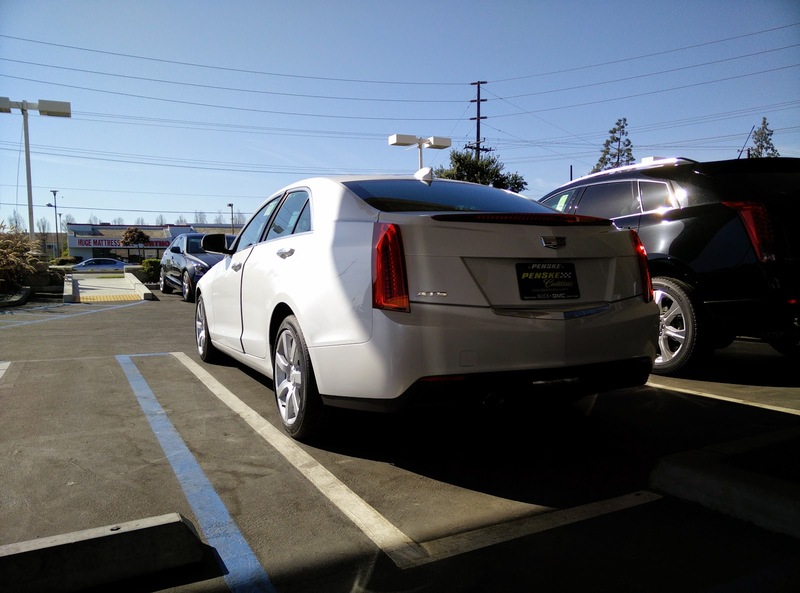 Avid readers of our blog will remember that the Cadillac ATS is another vehicle that we have test driven in the past. That one was equipped with Cadillac's then all-new 2.0 liter turbocharged inline-four cylinder engine. This time around though, we wanted to find out how well the ATS' base engine, a 2.5 liter naturally aspirated inline-four would perform in this car. 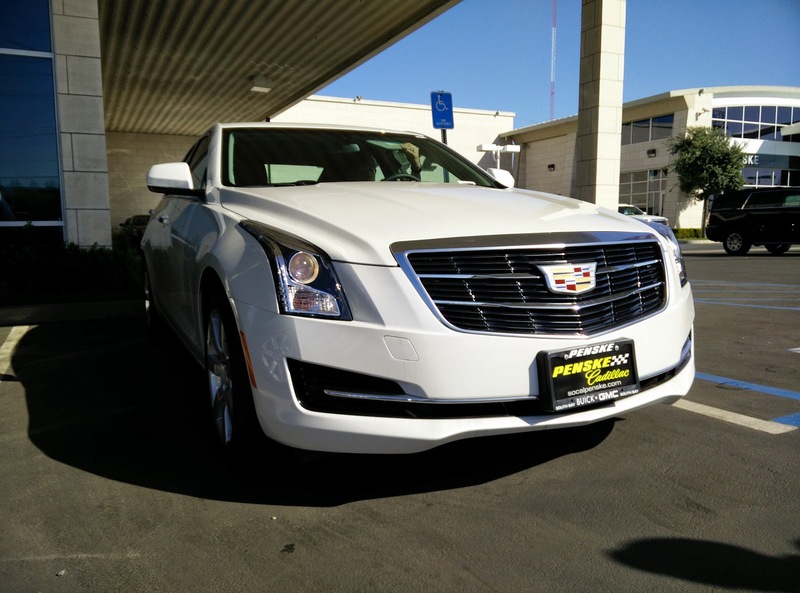 During our first time around, both East Brother and I thought that the ATS was a decent vehicle that needed some polish before we felt it could really compete in the mid-sized luxury big leagues. With three model years under its belt, has Cadillac managed to finesse the ATS enough for it to go head-to-head with the likes of mid-sized players from BMW and Mercedes Benz? Sadly, the short answer is no. Over the last three model years, the ATS has largely gone unchanged and not at all in terms of looks, although it is probably due for a mid-cycle refresh soon though. Despite already being three years old, the Cadillac "art and science" design cues have seemed to age reasonably well. It does not look any more dated than some of the other older cars in this segment, such as the Audi A4 or even some of the newer ones, like the BMW 3-series. One thing that Cadillac seems to make work are its standard 17 inch wheels. 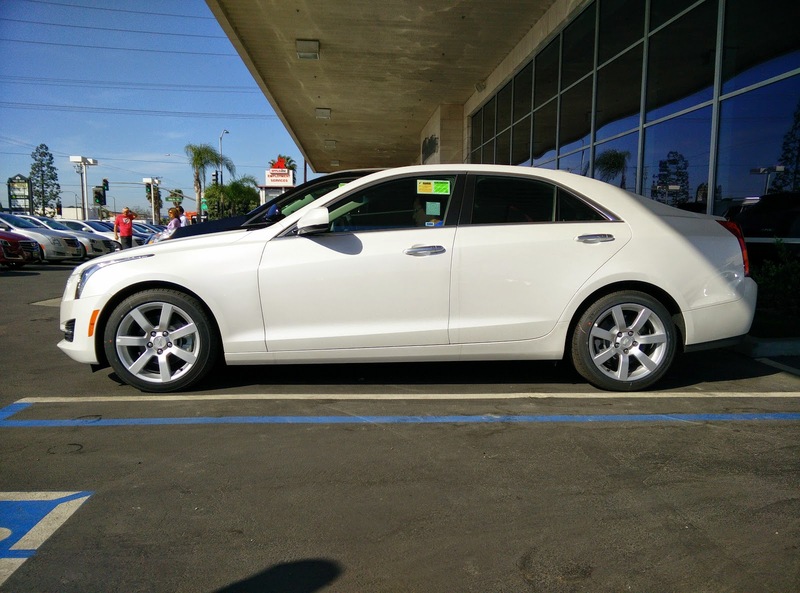 Out of all the mid-sized luxury cars the two of us have looked at over the years, the ATS seems to be one of the few vehicles that actually looks pretty decent with its smaller, standard wheel and tire package. The one feature of the car that seemed to really bother East Brother though was its single out exhaust. If you get an ATS with either the 2.0 liter turbo engine or the 3.5 liter V6, you get a dual exhaust setup that has the tips more towards the center of the vehicle rather than towards the edge of the vehicle like most other manufacturers do. With the 2.5 liter engine though, you get a single exhaust tip that only occupies the left space of the other cars' dual exhaust. Admittedly, it does look a little funny having the one exhaust tip so close to the center of the car. Just as the outside has not changed much over the last three years, the inside of the ATS remains largely the same. The shiny bits of plastic all still look too shiny and fake, and the non-shiny plastic bits still feel like rental car quality material. There are two changes to the inside of the car that are noteworthy though. 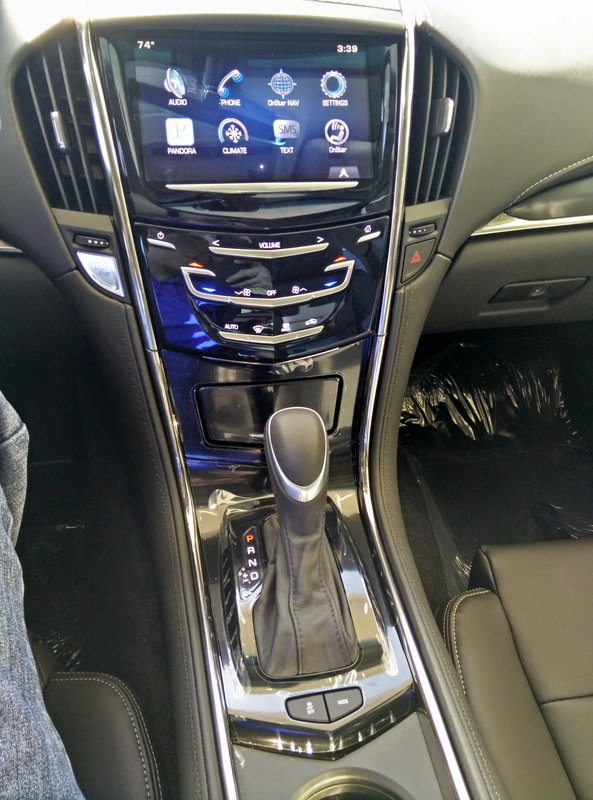 The first one is Cadillac's inclusion of a wireless charging station hidden behind the HVAC controls. With the push of a button, the panel where the HVAC controls rest lifts up revealing a a cubby to stash your wireless charging enabled phone. The major caveat to the wireless charging deal though is that you need to either have a phone that has the functionality, a phone with a removable battery in which you can attach a wireless charging chip to it, or a case that plugs into the charging port on your phone. The second notable change is with the CUE system. Both East Brother and I hated how slowly the system reacted when we first tried the system back in 2012, but noticed that the system was much quicker this time around. Maybe GM finally got the memo? Having previously test driven the 2.0 turbo model, neither East Brother nor I expected the 2.5 liter equipped ATS to wow us in any way. I actually went in with fairly low expectations of the 2.5 liter engine. The large inline-four was raspy sounding, did not feel very powerful, and felt like it struggled to lug around the 3400 pound sedan. Long story short, it basically met my low expectations. A Honda inline-four competitor, this engine is not. It certainly feels like it belongs in a rental car, so it is no surprise that many rental car agencies have the 2.5 liter equipped ATS in their fleets, albeit as a premium model they can charge extra for. Handling still leaves much room for improvement. After spending a few minutes driving over pot holes and uneven pavement, followed by some spirited cornering, it is easy to tell GM went with a more comfortable suspension setup rather than a sporty setup. The ATS is far from the boat like handling of its predecessors, but I have a hard time convincing myself that this car has the handling chops of its German and Japanese competitors. Perhaps the addition of the magnetic dampers in the upper level models would change that impression. Its steering rack is mildly better than the one found in the BMW 328i, but that really is not saying much since the 328i steering rack is basically devoid of any road feeling. One the plus side, the ATS has fantastic brakes. Brake progression is nice and linear, and I also know the car stops well in an emergency braking situation (another driver cut us off and nearly hit us). It is not that the ATS is a bad car. In fact, I find it a fairly middle of the road vehicle in every way. 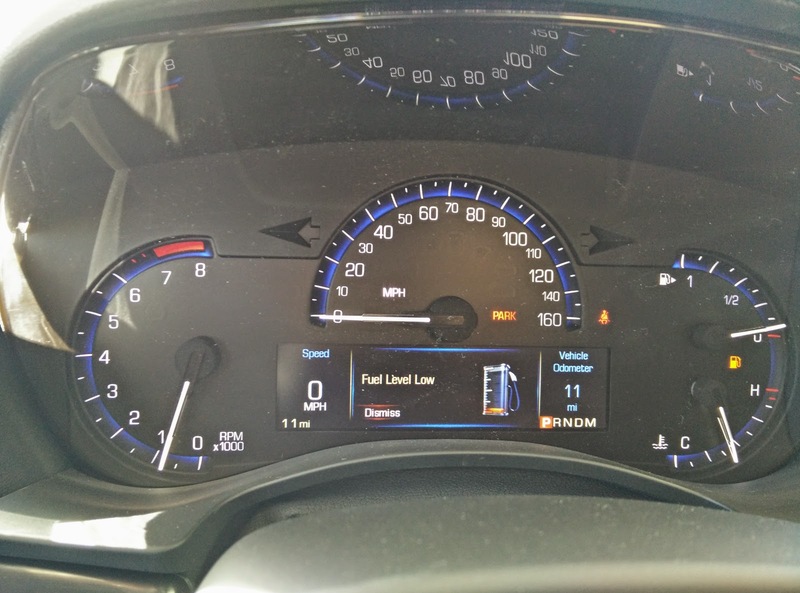 The problem is that it is not a particularly exciting vehicle to drive, and that seems to be a problem slowly permeating its way through the entire segment. Unfortunately for Cadillac, the ATS 2.5 is starting to become a rental car staple, which may end up cementing its place as the "boring" or "cheap" mid-sized luxury sedan. With the more powerful engines, the ATS does liven up quite a bit, but the 2.5 will likely remain its volume seller, if just on price alone. Luckily, Cadillac is not letting up its fight against the Germans as the new ATS-V is due out in a few months. This BMW M3/M4 competitor will definitely inject some much needed excitement into the ATS' image, and we cannot wait to test drive one.